We have built over 800 custom e-commerce sites in the last 11 years and over 5000 are using our add-ons or prebuilt templates, some of which you will find below. Simply click on a link to the actual site. Note that these sites are live, please do not place any fake orders. Thank you! 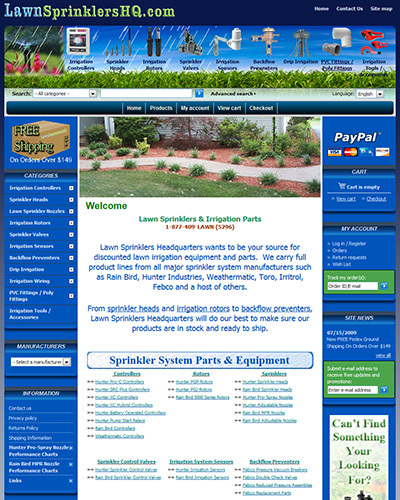 Lawn Sprinklers HQ seeked out to build a custom design for CS-Cart. The unique feature of this design is the "categories in header" module. 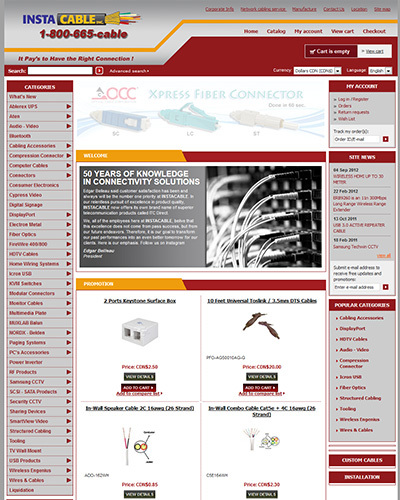 We have developed a very attractive menu, the categories are displayed with thumbnails in the top of the website. 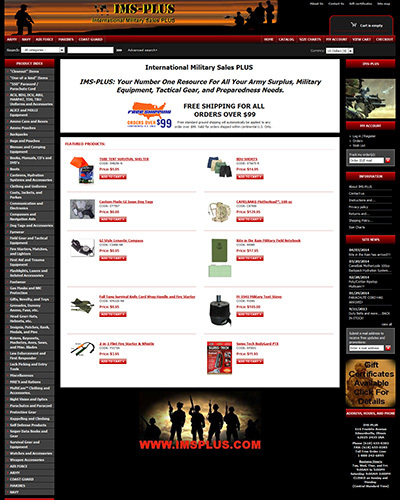 ImsPlus seeked out to build a custom design for their military store. InstaCable seeked out to build a custom design for their web-shop. 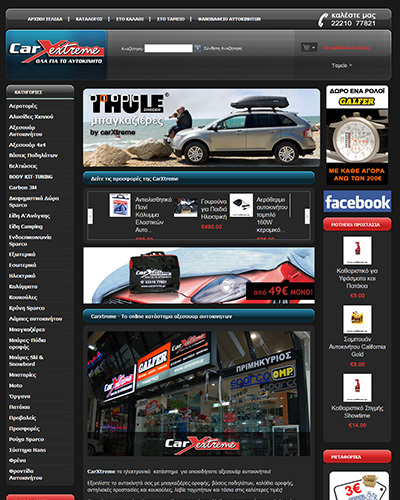 CarXtreme is using one of our most popular template. 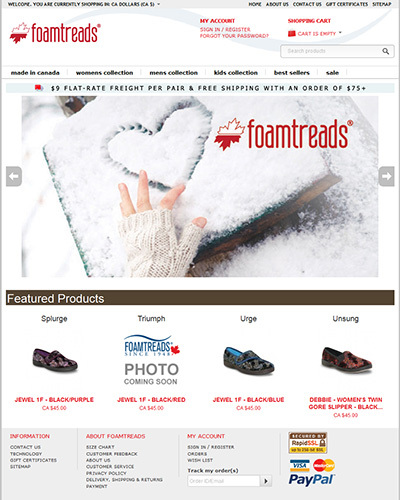 Foamtreads seeked out to build a custom design for their web-shop. 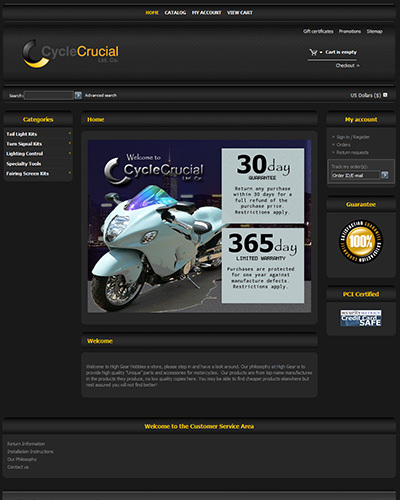 CicleCrucial seeked out to build a custom design for their web-shop.